When Salman Khan chose to do a sequel of his previous blockbuster Ek Tha Tiger, it was clear he’s coming to hunt down the records. When the title Tiger Zinda Hai was revealed we all knew what the box office collection status will be. Tiger Zinda Hai will be entering its second week today at the box office. There has not been a single day where this movie has not surpassed any record. After collecting 206.04 crores in a week the movie has already proved enough to show its super-hit trend. Salman Khan’s Sultan which also was directed by the same director, Ali Abbas Zafar collected 208.82 crores in its week one. Aamir Khan’s Dangal was 193.53 crores at this same juncture. But there is a great difference between both of Sultan and Dangal’s lifetime figures because of their respective trends. Here’s a look at Salman Khan’s top 10 highest grossing films of all time. Tiger Zinda Hai is just a week old and it’s to be seen where its trend will fall in the parameter of above two films. But for now, after crossing Dabangg 2 this movie has crossed the lifetime collections of its predecessor Ek Tha Tiger in a week’s time. Ek Tha Tiger released back in 2012 collected 198 crores in its lifetime. Tiger Zinda Hai, its sequel achieved the same in a week. The next target for Tiger Zinda Hai is Prem Ratan Dhan Payo in the list of highest grossing movies of Salman Khan. The Sooraj Barjatiya family entertainer collected 207.40 crores in 2015. With the trend, Tiger Zinda Hai will cross this one too initiating its second week. Top 3 movies in the list are Kick (233 crores), Sultan (300.45 crores) and the leader Bajrangi Bhaijaan (320.34 crores). Tiger Zinda Hai is surely eyeing to enter the 300 crore club making it 3rd film of Salman Khan to achieve the honour. 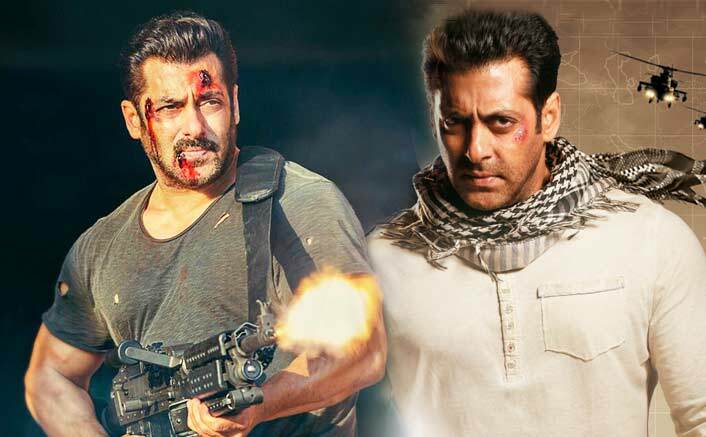 The post Salman Khan’s Highest Grossing Movies: Tiger Zinda Hai Beats Its Predecessor Ek Tha Tiger In A Week appeared first on Koimoi.